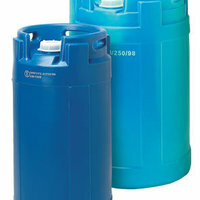 The Warboy features a unique double walled design which enables it to be used for up to 10 years with most chemicals. Warboys have been UN performance tested and certified for the carriage of dangerous goods. The Warboy is a re-usable container of double walled construction primarily designed for the transporation and storage of dangerous liquids. 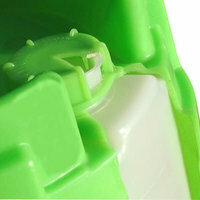 The container incorporates an integral ergonomically shaped handring, an offset pouring spout and secure interstacking features. Side walls are provided with large recessed label attachment areas. Considerable attention has been paid to smooth geometry thus ensuring easy cleaning. 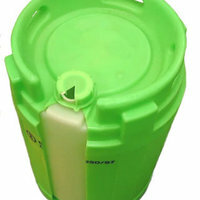 The container is rotationally moulded in LMDPE. Unlike blow moulding the process is essentially stress free and creates a container with no seams or welds. 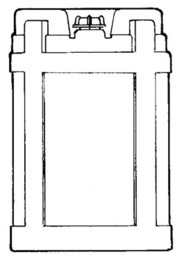 The bodies of the mouldings are of generally uniform wall thickness with thickening in corners and radii where reinforcement is of most benefit. The polymer used in the manufacture of the container is highly UV stabilised and exhibits excellent low temperature impact strength, chemical resistance and ESCR. 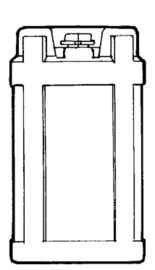 The Warboy double walled design is unique. 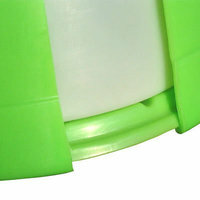 The external drum provides impact protection for the inner drum which contains the product. The Warboy is not UN restricted to the 5 year service life limit of single walled plastic drums. The Warboy is capable of achieving up to 10 years service life with most products. 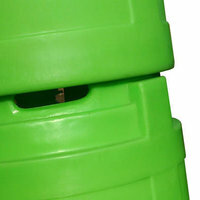 Francis Ward can advise on service life for your products or you can refer to the Francis Ward Drum Utilisation Guide. Please complete the form below if you would like to enquire about the Warboy.